„I’ve just finished a training session,“ greeted us Luka Trtnik, 20-year old Slovenian player. 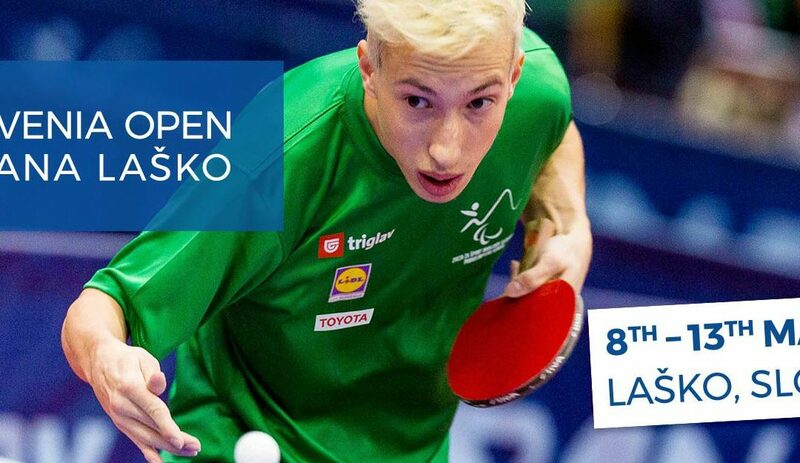 He is expecting a lot from the 15th Slovenia Open Thermana Laško, so it is no surprise he also trains on Sundays. Luka, a big fan of Real Madrid and Ronaldo, is aware of what will make him competitive on the world stage. „Before the start of the tournament we’ve finalized some details, so I am leaving for Laško with good feelings,“ added Trtnik. He is pleased with trainig sessions in the past few weeks, among them was also one week of practice in England. „When I came home I continued with the good work. Here in Slovenia I train twice a day,“ continued Luka. It is clear to him that with the amount of trainings and the number of repetitions confidence also grows. This year he has already competed in Italy in March, when he took part in the tournament in Lignano. He won 2nd place in class M7. „I want to bring the success from Italy to Laško,“ hopes Luka and is also aware that he will also feel more pressure playing in the home country. „I have some aces up my sleeve – serve and forhand,“ Luka exposes two elements, with which he will try to overcome pressure and defeat opponents. „I am not thinking about the draw,“ said Luka, who is aware that his opponents will be tough to beat. Equal fight or at least attempt at that is Luka’s main goal.